A New Years Resolution should be doable as in realistic, challenging, FUN and meaningful. As long as it is important to you that you achieve this, then that’s all that matters. Your drive will determine your success. The small goals you set along the way will set the foundation for making your resolution your reality. Choosing a resolution consider attempting something you know will make you a better you. In the end you will be a happier and more disciplined. This means you will be able to achieve more in your life with ease. Life is hard, yes that’s a fact. Setting a resolution that makes you stronger physically, mentally or emotionally (or all three) will make everything easier. It’s better to focus on small goals leading up to your larger goal because if you only focus on the end result you won’t embrace the journey. Envision the steps leading up to success. Each step is a crucial part of that success. Rome was not built in a day. Expect greatness from yourself, but lay the foundation for success that’s what the steps are. Choose the snacks that support your goals! Is your goal to make the nutritional changes that will give you more energy in your everyday life? Your first step can be cutting out products with artificial ingredients and added sugar. Add more products like these snacks from Made In Nature. Made In Nature is a company putting your nutrition first, with a Dietitian involved in every recipe this is a snack company you want to get behind. Is your goal to lean out! Our Nutritionist key to building a lean body is this All Natural Vermont Peanut Butter protein smoothie recipe! 2 tbsp. Vermont Peanut butter any flavor you desire. 1 c. 2% Milk | Almond Milk or any milk you choose. Is your goal to go vegan or just eat more vegetables? Is your goal to workout in the mornings, but still eat healthy without cooking? Is your goal to go Keto? In life the path to balance seems pretty straight forward eat well, workout, work hard and play hard. Your lifestyle is one thing, but getting your body into balance by making sure you get the right nutrients can be another thing entirely. We have found the perfect solution to simplify the diet part for you by bringing your body into balance with one product. Herbal Strategy is being featured in our October Fit Snack box! Herbal Strategy is “your guide to foods that heal”. A renowned chef is behind the creation of this super food blend, he ensures each ingredient is the highest quality. High quality organic super foods give you the greatest nutritional yield (meaning you get all of the health benefits that come with consuming these super foods). Herbal Strategy included a 3-day supply of the superfood solution “The PATH” in the October Fit Snack box. and to help your body THRIVE! It is a synergistic formulation of 15 of the World’s most Potent Fresh, Raw, Super food Powders to give your body what it needs. You won’t find a more powerful mix of organic, vegan, natural, super food powders on the market today. The PATH is designed for general health & wellness and is made of raw berries, fruits, roots and greens all together in one concentrated, synergistic blend. These super foods are considered some of the best natural remedies on the planet. The PATH is the ideal smoothie add on for targeted health needs, which in this case are balance and homeostasis. Unlike a lot of the green powder mixes out there, it mixes very easily and makes a smooth green drink. Check out this Herbal Strategy video and see the Chef behind the solution in action! Here’s a fun fact from the video. Did you know? Beets boost stamina. In a study with Triathletes they were able to train 30% longer when they drank beet juice. Herbal Strategy is more than information and fun facts it is also a community where you can learn as well as share your love of super foods. We have a little secret to share, since you’ve read this far you deserve to be in on it. The November Fit Snack box will have another Herbal Strategy solution. Stay tuned to find out what’s to come. We promise it’s full of great health benefits and is well worth the wait. Top 4 Ingredient Snacks You Must Try For Back To School! Instructions: simply spread nut butter over celery sticks, top with mixed nuts and dried gogi berries – YUM! Place in tupperware and go. Instructions: Line a baking sheet with parchment paper and set aside, mix Greek yogurt and syrup in a bowl until combined. Pour onto prepared baking sheet and spread into a thin layer. Top with Real Medleys SuperGrains Blueberry Pecan Granola, blueberries, and strawberries, place in the freezer for two hours, or overnight, until the bark is fully frozen. Slice into desired squares when ready to eat! 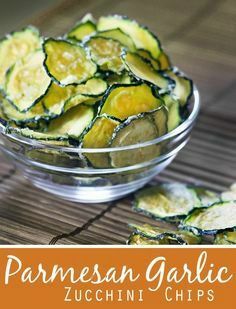 Instructions: Preheat oven to 230 degrees (F), use a knife or mandoline slicer to cut zucchini into thin slices, place cut zucchini in a bowl, add salt, Parmesan cheese, garlic and vinegar, toss to coat, bake for 1 1/2 hours. In a rush? For those of you who don’t have time this week to make homemade snacks. Enjoy our recommended back to school go-to’s with links to order! FRUIT and VEGGIE BAR: This bar was inspired by Ally’s favorite Juice. Naturally sweet balance of apples and carrots and a spiced up with ginger. 5 – 9 servings of vegetables and 2 – 4 servings of fruit per day, is a difficult standard to meet each day! With Ally’s bar not only can you meet your nutritional requirements more easily, you can also enjoy sustainable whole food energy on the go! Kala Fava Beans : Consider these your new go-to. With a selection of flavors like Pineapple, Sea Salt and Vinegar, Pepper and Curry, you’re never bored with what Kala has to offer. These beans are flavored just right so they taste more like chips than beans. These little beans are packed with protein and iron and are one of the tastiest superfoods out there. Featured in our Sept Fit Snack box! Rise Buddy Pizza Rice Chips : Fit Snack delivers pizza? Only in the most efficient way possible! We love the quirky and unique products that Rise Buddy has shared with us and we want to share these yummy chips with you. These whole grain chips are made from brown rice, oven baked and gluten free. AND they come in delicious flavors like Pizza, BBQ, Sour Cream and more. Available on Amazon! Raw B ite Organic Fruit and Nut Bar: Looking for a snack that car seriously fill you up? Raw Bite has you covered. Though each bar is smaller in size, these fruit and nut bars are full of fiber and protein, and they only contain natural sugars. If you have dietary restrictions, this bar might just be the golden ticket. Every Raw Bite bar is dairy free, gluten free and corn free. For anyone who is vegan, paleo or trying to eat more organically, Raw Bite is worth checking out. Visit www.rawbite.us and use code FITSNACK for 20% off through 09/30/2017. Ricaroons Coconut Energy Bar: Ricaroons has somehow managed to make their protein bars taste more like a dessert than a healthy snack. Ricaroons uses three different forms of coconut: coconut oil, coconut flakes, and coconut palm nectar. Coconut digests smoothly, converting to energy with a minimal insulin effect. This means that with coconut comes consistent energy rather than a spike and crash like from most other sugars. Each bar is nutrient-packed that provides long lasting energy and they are the perfect snack for anyone on-the-go. They even have Pumpkin Spice flavor for the fall! Visit www.rickaroons.com/buy and use code SNACKFIT for 15% off through 10/2/2017. Getting Back Into the Work and School Routine is Easier with Fit Snack! Getting back into the school routine is now just a bit easier with snacks that keep you energized and focused. With no artificial ingredients you and your kids can snack stress free. Follow links to our discounted snacks and get ready to hit the books! Fit Snack is now offering office boxes to awesome offices around the nation! Visit www.fitsnack.com/office to get more information and a free sample box for qualified offices! Sweeping the nation with healthy snacks!